This is a photograph of the annual authors' reception held in the library of the Menninger Clinic in Topeka, Kansas. People in the photograph are (left to right) Dr. Roy Menninger, Dr. Harriet Lerner, Dr. Harold Voth, Dr. Peter Novotny, and Nancy Jehl. 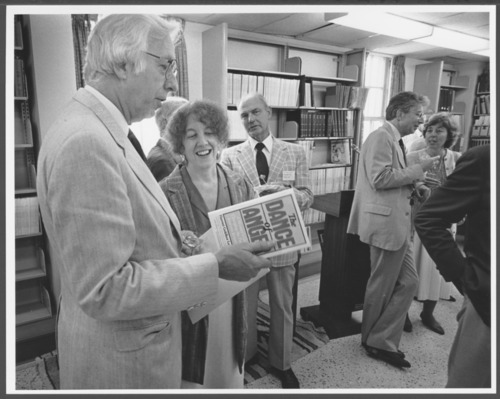 Dr. Lerner had just published her book, "The Dance of Anger".